As the new school year approaches (or has already begun in some areas!) I thought I would share one part of the second chapter in my newly released book, published by Heinemann, CHOICE TIME – How to Deepen Learning Through Inquiry and Play, PreK-2. The chapter is titled “The Classroom Speaks” and this section of the chapter addresses getting the room physically set up. In the opening segment of the wonderful children’s show Mister Rogers’ Neighborhood, Fred Rogers welcomes his young viewers into the neighborhood, singing about the beautiful day and inviting them to be his special neighbors. Monday through Friday, for nearly ten months each school year, the classroom is the neighborhood we share with our students. And just as Mr. Rogers created a safe and welcoming neighborhood for his friends (Daniel Striped Tiger, Lady Aberlin, Mr. McFeely), we work hard to create a gentle, exciting space of our own. Ideally, it’s a laboratory for exploratory learning, a place where children build things, conduct experiments, create innovative art projects, read fascinating books, write original stories, use technology and texts to find out information, and feel free to imagine and try out possibilities. It’s a place where children grow big ideas, make new friends, and dig deeply into exciting investigations. When children and their families first walk into a classroom at the beginning of a new school year, what they see all around them tells them a lot about the neighborhood they will inhabit. Each classroom has a voice, and the position of the furniture, the materials, what’s on the walls—everything, really—speaks and tells the children whom and what you value. The voice is so powerful, in fact, that Reggio Emilia teachers teachers in the schools in Reggio Emilia say the classroom is the second teacher. … Children can access materials without adult assistance. There is a palpable sense of co-ownership. • I welcome you to this exciting, caring place. • You are now part of a community that works, plays, and shares together. • You are a very special, important member of this community. • In this room, you will be an explorer, a creator, and a scientist. • You will find many ways to record and share your discoveries. • You are a literate person who can already read and write. 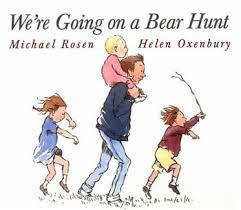 (Even the youngest child can re-create a story by reading the illustrations and can make marks on paper that are meaningful to that child.) Together we will learn more about reading and writing. • Because we are a sharing community, there will be times when we all come together as a group. • Because you are a unique individual, there will be times when you will have a private place to be alone with your thoughts. • Because we value and seek out one another’s ideas, we will have time and places to meet in small groups. • We are a community that always shows respect and compassion for one another and for all living things. • We will celebrate one another’s achievements. The challenge for us as teachers is not so much in deciding what we want our classrooms to say but in knowing how to say it. 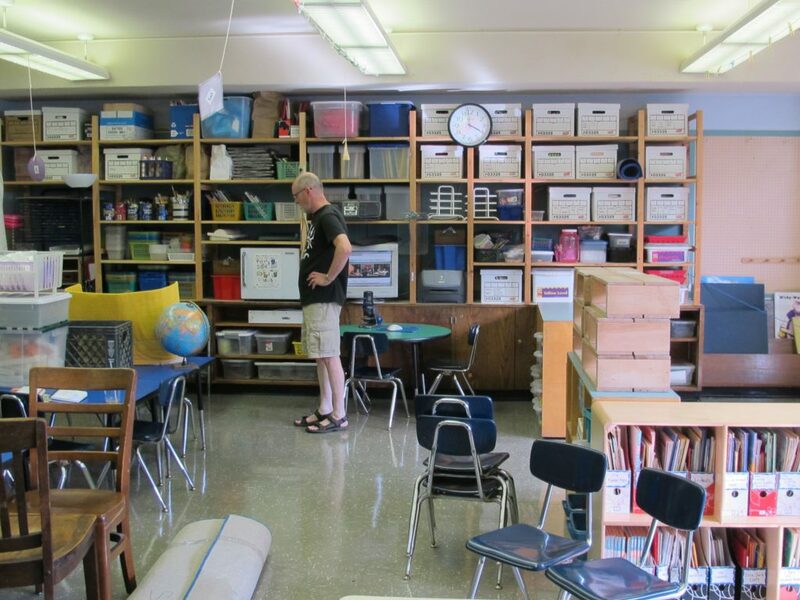 Most of us start thinking about organizing our classrooms during the summer, well before the school doors open. All during August, we draw sketchy diagrams of possible classroom arrangements. …. Will we have all the centers set up and ready on the first day, or will the children help set them up once they arrive? And what about the daily schedule? Once everything is set up, how will each day go? So many decisions to make as we arrange and rearrange and rearrange until the children finally arrive and the space comes to life and we rearrange all over again based on how they move around the room. … How do we make decisions about space, materials, displays, and time that say clearly to our students, “Welcome to our neighborhood. It’s your special place. I’m so glad you’ve come”? When space in a classroom speaks, the arrangement of furniture and materials tells a lot about how the community lives and works together. …While we don’t have any control over the actual dimensions of our classroom space, there are all kinds of decisions we can make that will impact how much space we’ll have inside those dimensions and how we’ll use it. A certain amount of furniture in a classroom is a necessity, but it’s important to think about both what you have and what you need when it comes to the layout of furniture in the room. …do you really need that big desk, or would a file cabinet and a small shelf suffice? 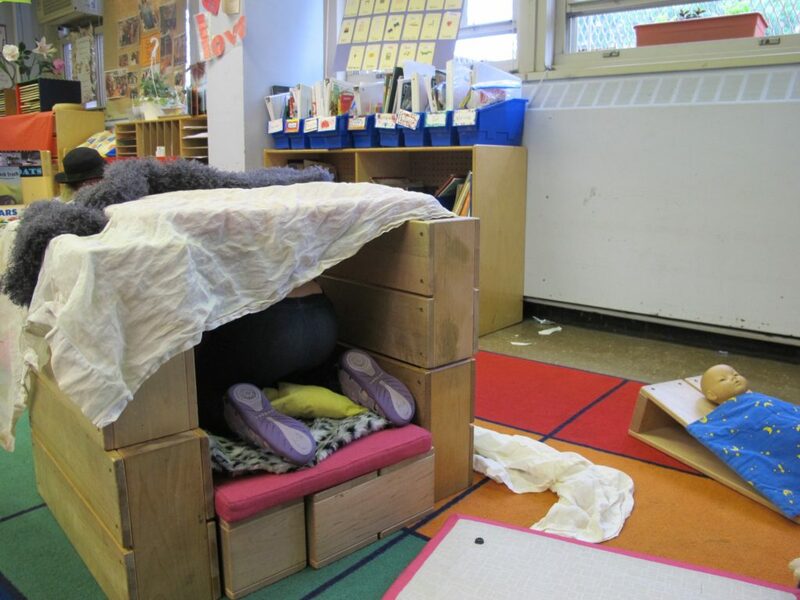 … Consider removing any piece of furniture that’s not essential and also favoring any piece that can do double or triple duty during the day……..Ideally, the landscape of a classroom where young children work and play has a low profile. As you consider the arrangement of furniture and materials in the room, think of the classroom as a laboratory for exploration. Instead of positioning all the tables in the center of the room, isolating them from investigation centers, divide the room into discrete areas, ready for children’s explorations. Consider the kinds of spaces you will need across the day. Most classrooms have at least one meeting space that is big enough for all the children in the room to gather together. …The meeting area should not be too close to the classroom door. If it is, meetings will be interrupted anytime someone enters or leaves the room… the meeting area can be used for other purposes. Since it’s big and open, it might be used for centers that involve a lot of movement and action. As long as the materials for the center are stored in transportable containers, the space can be transformed quickly. …Children can read independently in the meeting area during reading workshop, and with lap boards, they might also use the space for writing. If the space is defined by bookshelves, it can double as the classroom library. Outside the meeting area, it’s important to decide whether you are going to have any other dedicated areas in the room such as a block center, a reading nook, or a writing table by the window. ..if you know that children are likely to be noisy when using the space, you can make sure it’s separated from places where children need quiet. If you create a dedicated space away from the flow of traffic, children will have plenty of room for building and moving around their constructions without fear of unintended mishaps. You can equip and outfit a dedicated space with all sorts of supports for the designated activity, and you can base the size and location of the space on the nature of the activity itself. Ideally, a classroom would have dedicated areas for all its permanent centers, but whether or not that’s possible really depends on how much space you have. .. if you’re longing for a spacious block center, you might do away with the dramaic play center and store these materials and hollow blocks on a shelf by the meeting area. Again, practically any space can do double duty during the day as long as materials are easy to store and transport. THere need to be enough centers for children to feel as if they truly have a choice about where they will go. …Once you have a number of centers in mind (based on the number of children you have), then it’s time to look around the room and figure out where each of those centers might take place. How much room will children need? Children in an art center, for example, will need space for big collaborative projects with lots of materials, while children in a science or math center might work on a tabletop with all the tools and materials they need for their explorations neatly organized and stored. Remember that any tables you use for explorations during center time can also be used during whole-class activities such as writing workshop and math lessons. Also consider the noise and activity levels of each center and try to separate them accordingly. Finally, once you’ve figured out where all the centers are going to be, it’s important to consider the flow of traffic around the room. Can children move easily from place to place? If not, can you relocate any of the centers, or might you need to streamline the number of centers to fit the space? Are materials located strategically to prevent overcrowding? Traffic flow can be tricky to predict because certain groups of children simply move through space differently than others. A space that worked perfectly the year before might for some reason create a major issue for this year’s class. In the first days and weeks of school, you’ll want to observe the movement in your classroom during center time and make adjustments based on how you see students using the space. This entry was posted in Investigating Choice Time: Inquiry, Exploration, and Play on August 15, 2016 by Renee.